In November 2011, Sue and Buddy Price, the lovely couple who own and run Abigail’s fine catering had the rare privilege of catering a luncheon for Capt. Mark Phillips, ex-husband to Princess Anne of England. This is only one of the many highlights of this local catering company’s journey. Their very competent staff plans every detail meticulously paying very keen attention to detail from planning the menu to setting the table with the goal of treating every client like royalty. 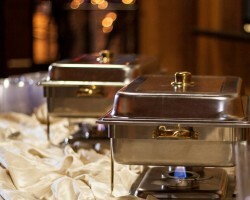 Catering by LLC is one of the best wedding catering companies in Baton Rouge, LA. This catering company is built in the image of Lisa Hammond, the owner, a woman of exquisite taste who is all about style and professionalism. 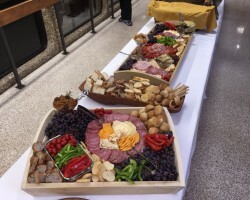 So if you are hosting a cheap back-yard bbq or a pricey black tie wedding party, contact Catering by LLC and together, you will plan something amazing that your guests will be talking about for a long time. You will not find another catering company in Baton Rouge, LA more passionate about giving their clients an incredible meal experience. Their specialty is authentic Mexican food. 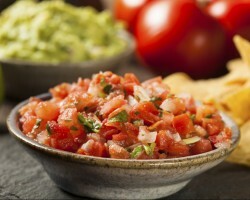 If you want a flavor filled experience of the Mexican culture, Mr. Taco Cantina will give you exactly that. After you’ve had the famous Mexican Coca-Cola to wash down their tacos and burritos, made with farm-grown meats and garden fresh vegetables, you will be running to tell all your friends to hire this local caterer. The Tramonte’s have a rich history which began when their great grandfather, A.D. Tramonte from Palermo, Italy set up a small store in Louisiana which grew into what is now a top Italian catering service provider in Baton Rouge. 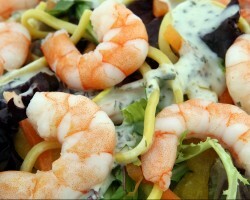 They cater all kinds of events from crawfish and Shrimp boils to wedding receptions serving their tasty Italian cuisine. As a “one-stop shop” for all event needs, they also work with quality vendors to plan parties and events so that you don’t have to. To guarantee the success of your shindig you need a reliable, full-service catering company with a wealth of experience in the catering industry. Danny’s Cajun Catering is such a company. This family owned Baton Rouge catering service provider is based in White castle, LA. 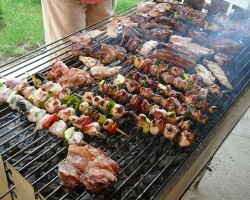 It has a team of catering professionals who can handle your whole function from setup to cleanup. They also offer banquet services, which include tents, tables and chairs, decorations, linens and silverware.